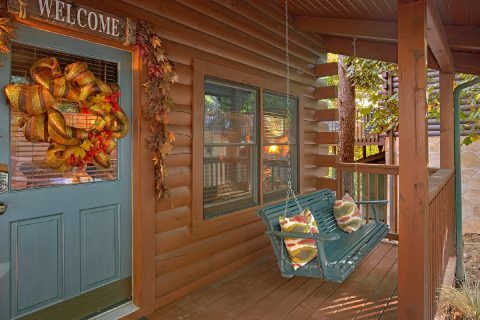 Luxury Honeymoon Cabin in the Smokies | "Our Happy Place"
Get ready for an unforgettable romantic getaway when you reserve "Our Happy Place!" 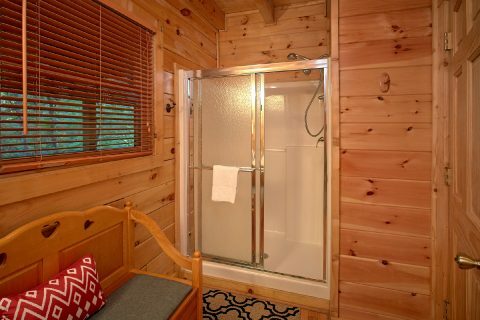 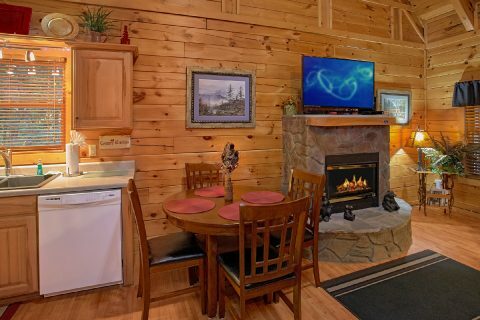 This premium, 1-bedroom, honeymoon cabin in the heart of Pigeon Forge is ideal for spending time with the one who matters most! 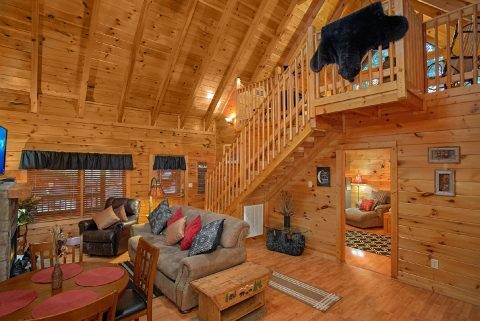 This cozy log cabin is perfect for a getaway for two, but it can accommodate up to 4 guests in comfort if needed. 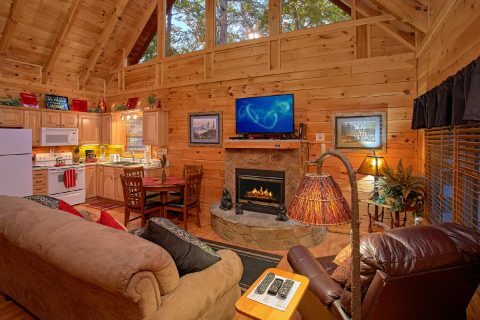 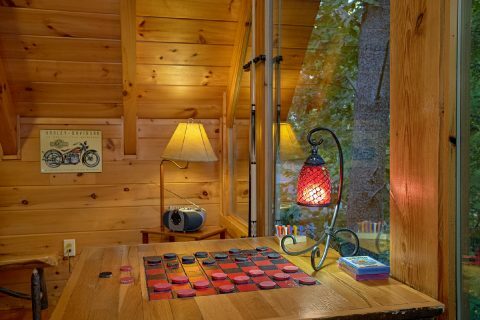 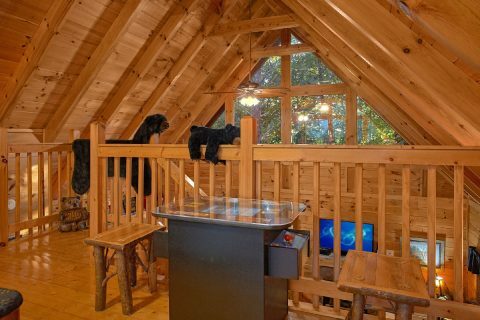 When you aren't busy exploring top sights like Dollywood, The Old Mill, Ripley's Aquarium of the Smokies, and the Great Smoky Mountains National Park, you'll love unwinding at this luxury cabin that's close to it all. 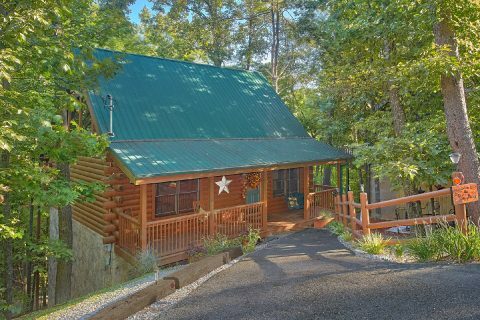 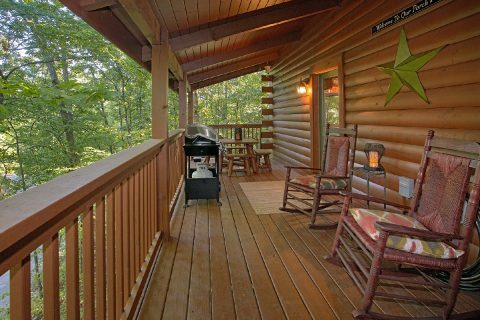 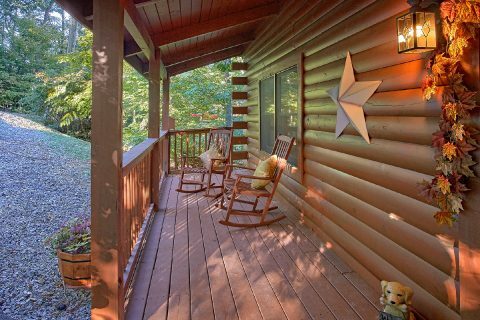 Though this cabin rests only half a mile from Downtown Pigeon Forge, it boasts a peaceful, wooded view. 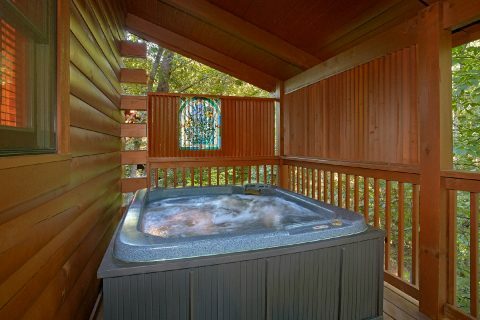 To rest your weary bones, kick back in the hot tub or jacuzzi tub. 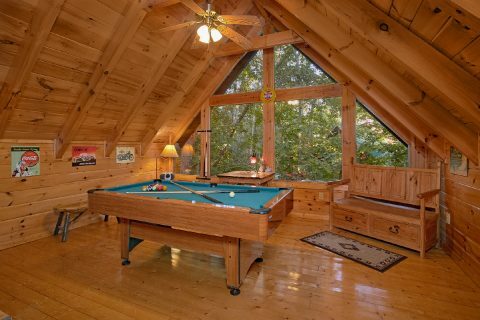 For some fun and entertainment, enjoy a game of 8-ball on your cabin's pool table in the game room. 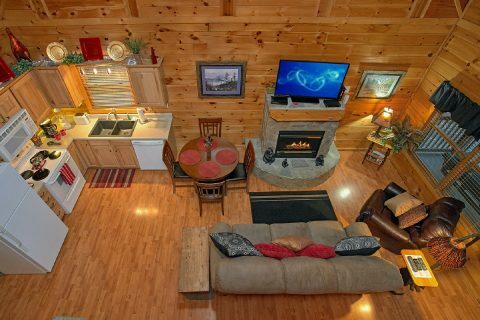 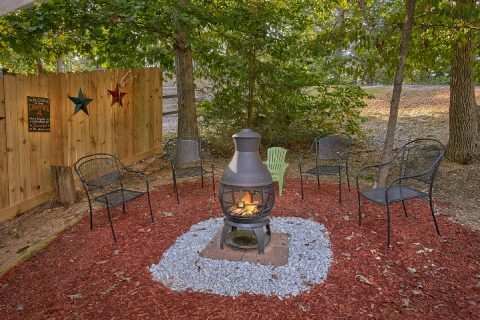 For relaxing time with your sweetheart, sit by the warm glow of the electric fireplace while you watch a movie. 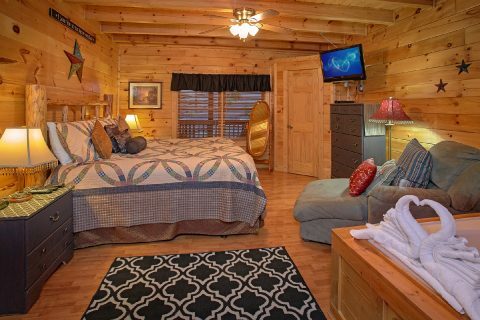 For staying well-rested on your trip, enjoy sleeping on the king-size bed in your cabin's bedroom. 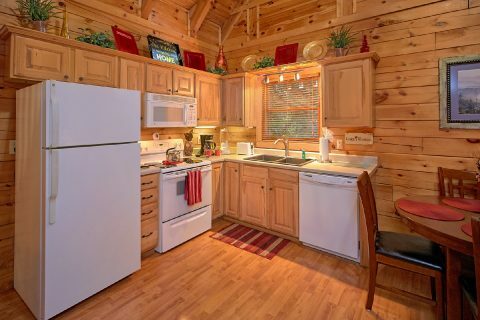 "Our Happy Place" also provides guests with a washer/dryer, WiFi Internet, and a full kitchen and gas grill for preparing delicious meals in your cabin and keeping your vacation costs down. 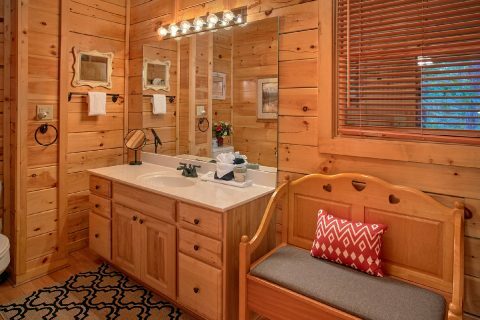 Book your cabin online today with Cabins USA Gatlinburg to earn a 15% discount on your romantic cabin vacation in the Smokies! 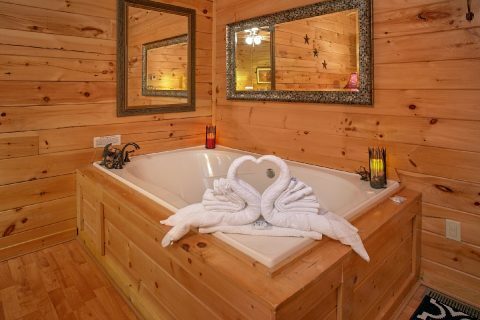 Treat your loved one to an unforgettable cabin vacation and save!